Ovarian cysts are fluid-filled sacs that can grow in or on your ovaries. Most ovarian cysts are harmless and go away on their own. But you may need surgery to remove a cyst if it’s causing you pain or discomfort or if there’s a chance it could be cancer. Ovarian cysts are usually removed using a surgical procedure called laparoscopy (a type of keyhole surgery), but sometimes open surgery is necessary. Your procedure will be carried out by a gynaecologist. You will get some information from your hospital explaining how to prepare for your operation. If you smoke, for example, you’ll be asked to stop smoking. Smoking increases your risk of getting an infection after surgery, which can slow down your recovery. It can also lead to complications. Ovarian cysts are usually removed by keyhole surgery as a day-case procedure. This means you can probably go home on the same day, although sometimes an overnight stay is needed. Before you go in, make arrangements to have a friend or family member take you home from hospital after your procedure. And make sure there can be someone at home with you for the first 24 hours. The operation is done under general anaesthesia, so you’ll be asleep while it’s going on. You’ll be asked to follow fasting instructions. This usually means not eating or drinking anything other than clear fluids for about six hours before your surgery. You can usually drink water up to two hours before your surgery, but not after that. It’s important to follow any advice your hospital gives you. Your gynaecologist will discuss with you what will happen before, during and after your procedure, including any pain you might have. If you’re unsure about anything, don’t be afraid to ask. No question is too small. It’s important that you feel fully informed so you feel happy to give your consent for the procedure to go ahead. You may be asked to do this by signing a consent form. What are the alternatives to ovarian cyst removal? If an ovarian cyst isn’t causing you any symptoms, your gynaecologist may suggest simply keeping an eye on it rather than having any treatment. You’ll be asked to attend regular ultrasound scan appointments to check whether the cyst goes away or changes in size. If you’re under 50, most ovarian cysts are likely to go away on their own within two or three months. What happens during ovarian cyst removal? Ovarian cyst removal is usually done through keyhole surgery, but sometimes a larger cut is needed (open surgery). Your gynaecologist will discuss with you which type of operation will be best in your circumstances. Simple or small cysts can usually be removed by keyhole surgery. If you’re having keyhole surgery, your gynaecologist will make two or three small cuts (between 5mm and 1cm long). One will be near your belly button and two will be lower down, usually one on each side. They’ll pass small instruments and a tube-like telescopic camera (called a laparoscope) through the cuts. This procedure is known as laparoscopy. Your gynaecologist will then examine your ovaries and remove the cyst. The cuts on your skin are closed with glue or stitches. You can find out more about this procedure by looking at our information on gynaecological laparoscopy. In some situations, your gynaecologist may need to carry out open surgery. This is when a single, larger cut is made in your lower abdomen (tummy) to reach your ovary. Your gynaecologist may recommend you have open surgery if the cyst is very large or there’s a chance it may be cancerous. Or they might have to change a laparoscopy to open surgery during the procedure to remove your cyst safely. Under some circumstances, your whole ovary may need to be removed during the procedure. For further information on fertility if your ovary has been removed, see our FAQ, Will I still be fertile with only one ovary? below. After your laparoscopy, your nurse will make sure you’re not in pain and let you rest for a few hours. They’ll offer you something to eat and drink. You’ll usually be able to go later that day when you feel ready. Someone should drive you home and a friend or relative should stay with you overnight. Your nurse will give you some advice about caring for your healing wounds before you go home. They’ll probably want to check that you can pass urine OK before you go home and may also give you some painkillers to take. You may be given a date for a follow-up appointment. Having a general anaesthetic affects everyone differently. You may find that you’re not so coordinated or that it’s difficult to think clearly. This should pass within 24 hours. In the meantime, don’t drive, drink alcohol, operate machinery or sign anything important. Always follow any advice you’re given by your gynaecologist or the hospital. If your gynaecologist used dissolvable stitches, these will disappear on their own. Other stitches may need to be removed by the practice nurse at your GP surgery. This will usually be around five to seven days after your operation. It takes time for your body to heal after surgery. Everyone is different. You may feel tired, and need to take a daytime nap for a few days after you get home. But it’s also important for your recovery that you get up and about. Try taking a couple of short walks (10–15 minutes) in the first few days then building up gradually. By a week after surgery, most women can walk slowly and steadily for up to 60 minutes. After about two weeks, they are back to their normal levels of exercise. You should avoid heavy lifting for four weeks. You’ll probably be able to go back to work a week after the procedure, but this may depend on the type of work you do. It may take a week or so more. The time it takes to recover will also be affected by whether you had keyhole or open surgery. Recovery from open surgery takes longer. If you have any questions about your recovery or when you can get back to particular activities, ask your gynaecologist. It's important to follow their advice. If you need pain relief, you can take over-the-counter painkillers such as paracetamol or ibuprofen. Always read the patient information that comes with your medicine and if you have any questions, ask your pharmacist. Complications are when more serious, unexpected problems occur during or after your procedure. Most women recover well after ovarian cyst removal. Keyhole surgery causes fewer complications and has a shorter recovery time than open surgery. Possible complications of any type of surgery include bleeding or a blood clot, usually in a vein in your leg (deep vein thrombosis – DVT). You could also develop an infection. Ovarian cyst removal can cause damage to other organs, such as your bowel, ureters or bladder, but this is unusual. Your gynaecologist will try to preserve your ovaries so you can still have children, but this may not always be possible. Before your procedure, your gynaecologist should discuss with you the chance of losing an ovary during the operation. For more information, see our FAQ, Will I still be fertile with only one ovary? below. I'm pregnant. Can my ovarian cyst be removed? I'm pregnant. Can my ovarian cyst be removed? An ovarian cyst is unlikely to harm your baby during pregnancy. Your gynaecologist will only advise you to have the cyst removed if it's causing problems or there’s a risk it’s cancerous. Ovarian cysts are usually harmless and go away on their own without treatment. In pregnant women, most are gone by about the 16th week of pregnancy. You won’t need any treatment if the cyst isn’t causing you any pain or discomfort and there’s no sign it could be cancerous. Instead, your cysts will be monitored regularly with ultrasound scans. If the cyst is large, painful, shows signs of twisting (torsion) or being cancerous, your gynaecologist will recommend you have keyhole surgery to remove it. Keyhole surgery is relatively safe during pregnancy for you and your baby, but all procedures have some risks. Your gynaecologist will explain these risks to you. Will I still be fertile with only one ovary? Will I still be fertile with only one ovary? Yes. You can still get pregnant with your remaining ovary if it’s working normally. A woman has two ovaries, one on each side of the uterus. Your ovaries contain your eggs and also make the female hormone oestrogen. Each month, one of your ovaries releases an egg. This is called ovulation. Oestrogen helps to trigger ovulation. If your ovarian cyst is cancerous or your ovary is damaged, your whole ovary may need to be removed. If only one of your ovaries is removed, your body can still make oestrogen and your remaining ovary can release eggs. So you’ll still be fertile. However, if both of your ovaries are removed, you will no longer have eggs to release and won’t be able to get pregnant. You’ll have an early menopause and will need to have hormone replacement therapy (HRT) to replace the oestrogen in your body. Talk to your gynaecologist if you’re worried about your fertility, especially if you’re planning to have children in the future. Getting pregnant (conceiving) often takes a while. 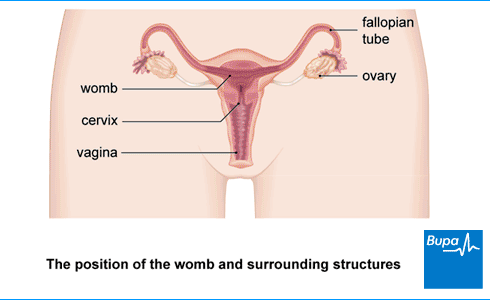 Ovarian cysts are fluid-filled sacs that develop in, or on the surface of your ovaries.